I remember reading this ages ago as it was originally published. I know I liked it then but now I think I want to read it again and see how much I remember. I read her blog over at Word Wenches about how she re-wrote it. The Duke of Candover appears later as hero in one of her historicals. That was a good book! Phyl this is the first time I read this book, although I've also seen some comments around about the fact that there's a difference between this version and the original? It would be interesting to know what's different about the story. Candover is the hero of Petals in the Storm, right? I believe Petals in the Storm is Candover's book. The heroine is not your typical duchess material. A different sort of Regency. 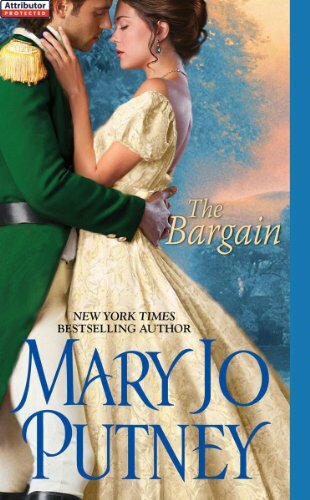 Here's a link to Putney's comments about re-writing The Bargain: http://tinyurl.com/3p9zc2t. Mostly she seems to have tightened the story; it's the difference between her being a new author at the time and more experienced now as I understand it. I haven't read an MJP book in a while, this sounds nice but I don't know about the heroine. Lovely review Hils. I loved this book. It had two of my favourite tropes - marriage of convenience and estate rehabilitation. I loved Sally & Ian's secondary romance too, and both the Duke of Candover and Jocelyn's male friend - the soldier with the leg wound - were intriguing. I think the latter also has a book of his own. Another MJP book I love is The Rake - have you read that? Phyl, thanks for confirming the title of the Candover story and for that link! It's always interesting when authors make changes to their stories. Alex, it had been a while for me too, but I do like MJP. The heroine changes and that's one of the things I liked by the end. 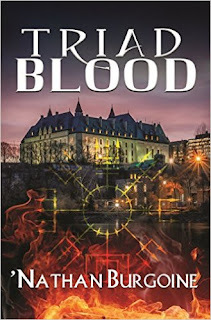 Leslie, if you like MJP and the trope, you'll like this book. Hope you enjoy it. PS: isn't that a great cover? I like it more than the original ones I've seen around. I haven't read One Perfect Rose - worth a try? Guess I'm going to skip on this one. I've come across a calculative heroine not long ago - they really are hard to warm up to. Orannia, I hope you enjoy One Perfect Rose! You DO enjoy estate rehabilitation stories... One of Kresly Cole's historicals, If You Desire, has an estate rehab story line, you might place that one in your list for future reference. I thought this was such an interesting premise. Really liked the book, but I did wish that she would have realized sooner that it was right to be with David.